The steak knife is classed as cutlery because it is used less by chefs and more by guests at the table. 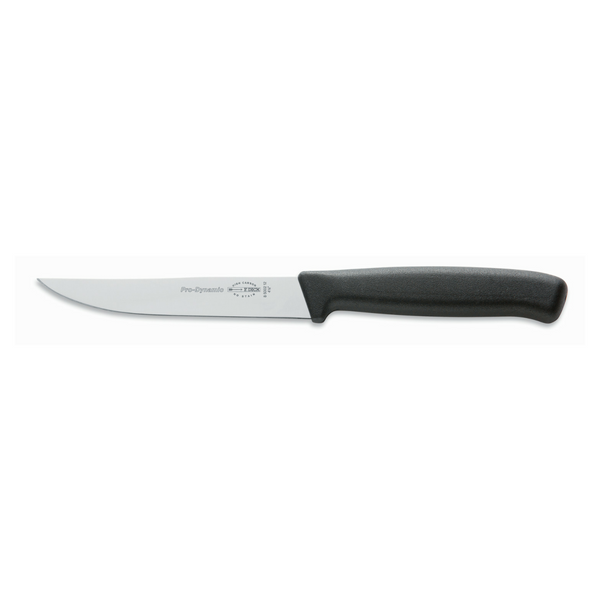 A special kind of knife that should ideally be used when cutting steak, meat and fillets in order to cut clean and appetising pieces and slices. The steak knife is particularly ideal here because the cutting edge is divided into two sections. A serrated edge - with particularly fine serrations - is attached to the front section. The middle and rear section of the cutting edge is smooth. Thanks to the two cutting types, the crust of meat (with the serrated edge) and also the meat itself can be cut cleanly.